May 6, 2008- VIDEO UPDATE- This extremely unique Land Cruiser comes to us from Nantucket Island. 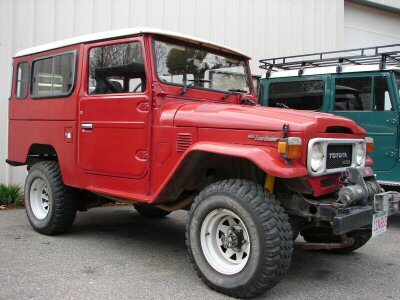 This is an HJ44...most likely originally from Japan. Why? The overall condition and the Japanese writing. This beach Cruiser is very odd. It has many unique features such a 2B engine....yes 2B. The interior is mostly white with brown mats. We are going to be installing new upholstery, a Tuffy Center Console, Kenwood Stereo, and tires as well as a few other items. This is a great Cruiser, in great condition, living on a great island. Watch as we make this Cruiser even greater!